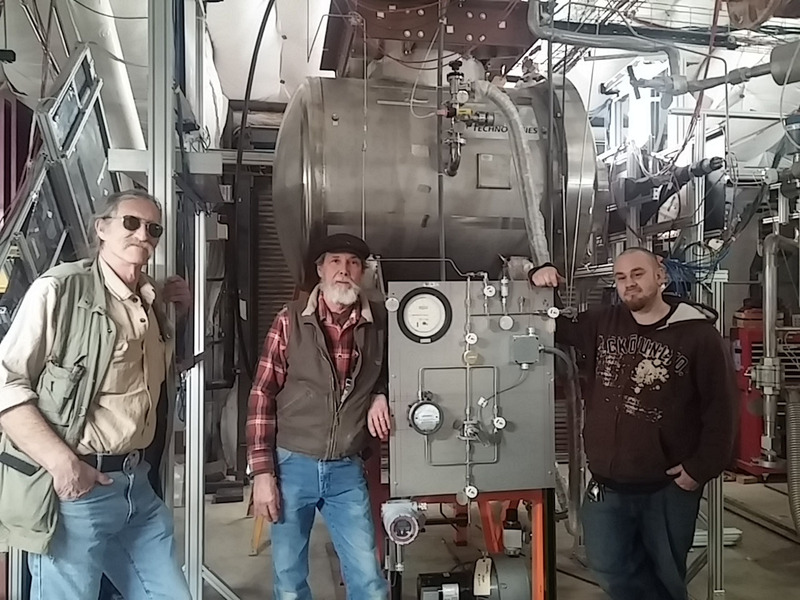 This article appeared in Fermilab Today on May 5, 2015. Fermilab’s Test Beam Facility (FTBF) now runs a second beamline to provide particles for R&D experiments. The MCenter beamline came back to life last year after an eight-year slumber to join the facility’s other beamline, MTest. 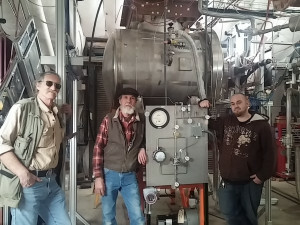 On Thursday, April 30, accelerator operators began using the revived beamline to send particles to its first major experiment, Liquid Argon TPC in a Test Beam (LArIAT), which will help advance particle detector technologies for neutrino experiments. The FTBF provides experiments with different types of particle beams with a range of energies. Its main purpose is the research and development of particle detectors. It is one of only two sites in the world that provides this service with high-energy hadrons, which are particles made of quarks. Since 2005, the FTBF, with its distinctive orange and blue corrugated-steel roof, has staged more than 50 experiments, conducted by scientists from more than 170 institutions in 30 countries. Not only does the new beamline allow FTBF to serve a larger number of users, it also provides room for a greater diversity of experiments. While MTest is aimed at experiments with a turnover of about one to four weeks, MCenter caters to more long-term experiments like LArIAT that will last for months, or even years. LArIAT is a liquid-argon time projection chamber. Charged particles traveling through the sea of liquid argon ionize the argon atoms, and an electric field causes liberated electrons to drift toward the detector readout. Different particles cause different amounts of ionization, allowing researchers to distinguish between particles such as pions, kaons and protons. 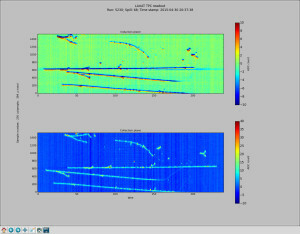 This plot shows LArIAT’s first tracks: two views of a charged particle interacting inside the LArIAT detector, which is filled with liquid argon. The first spill of particles delivered to LArIAT led to immediate success. The detector recorded picture-perfect tracks of charged particles. Like the test beam, LArIAT will act as a research and development vehicle for future projects. Because neutrinos can be studied only through the particles produced when they interact with material inside a particle detector, being able to reliably characterize these other particles is of great importance. “This is going to be fantastic not only for LArIAT but all the neutrino experiments that will use its results,” said Jen Raaf, co-spokesperson for LArIAT. 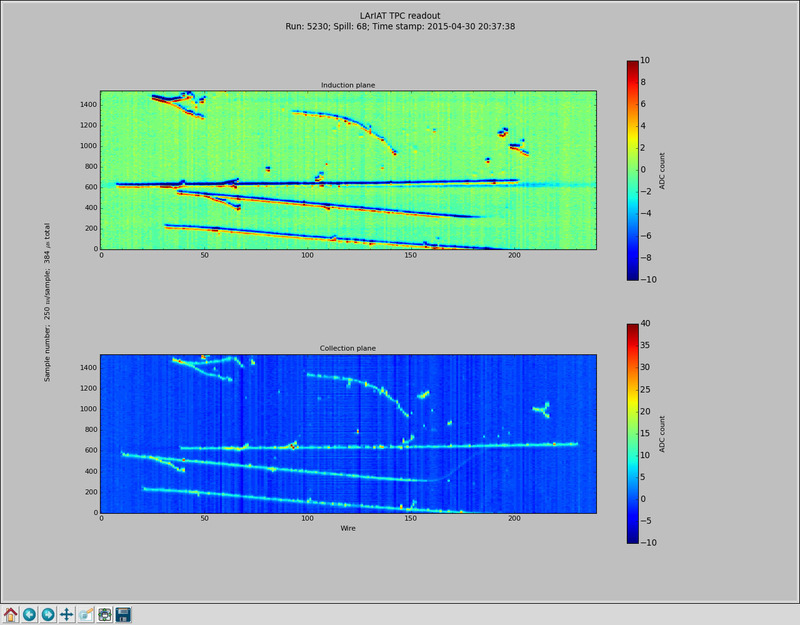 LArIAT will run the test beam for 24 hours a day while experimenters take data. The first run will last about three months, after which the detector’s cryogenic system will undergo upgrades to prepare for longer follow-up runs. “It’s great that we have a facility where a small experiment can take beam over a long term,” said Brian Rebel, a scientist involved in LArIAT. About 75 people from 22 institutions from the United States, Europe and Japan work on this experiment. “Most are young postdocs and Ph.D. students that are enthusiastically doing a great job,” said Flavio Cavanna, LArIAT co-spokesperson. “It’s an exciting combination of many years of work by the Accelerator, Particle Physics, Neutrino and Scientific Computing divisions to have the capability to do research that is important for making this the premier neutrino laboratory in the world,” Schmidt said.